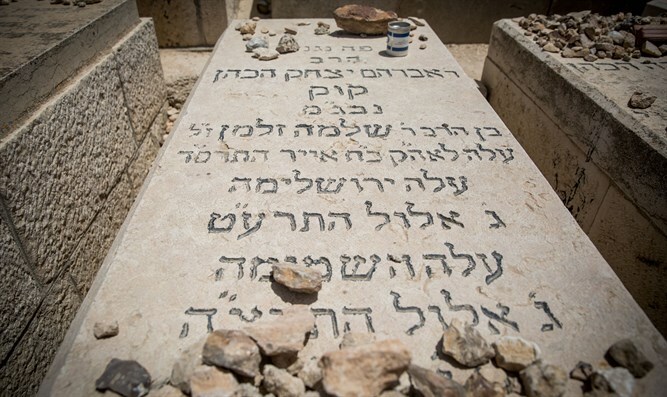 On 83rd anniversary of Rabbi Avraham Yitzchak HaCohen Kook zt"l's passing thousands visit his grave on Mount of Olives. Today, the third of Elul, is the anniversary of the passing of Rabbi Avraham Yitzchak HaCohen Kook, the first Chief Rabbi of the Land of Israel, who died 83 years ago. The Rabbi's grave, whose teaching is one of the cornerstones of national-religious thought, is now being visited by yeshiva heads and their students to read psalms and say Kaddish. 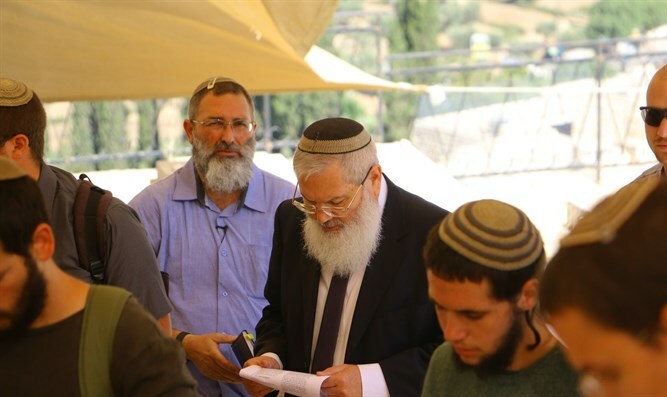 This morning's pilgrimage was attended, among others, by Yeshivat Har Hamor heads Rabbi Tzvi Tau, Rabbi Amiel Sternberg, and Rabbi Mordechai Sternberg; Deputy Defense Minister Rabbi Eli Ben Dahan; Deputy Mayor Hagit Moshe; Rishon Lezion Hesder Yeshiva head Rabbi Shlomo Levi. Rabbi Kook's House Educational Director Rabbi Avraham Teitz said, "The Rabbi's legacy shines forth from one end of the world to the other. Rabbi Kook left behind a great educational, Torah, and Zionist legacy. We at Rabbi Kook's House in Jerusalem make every effort to imbue this heritage into the entire nation. We embarked on a huge fundraising campaign to improve the accessibility of his legacy to every household and sector."